As a special education teacher of five years, I have always sought out new and innovative methods of engaging students. My personal mission as an educator is to motivate, inspire, encourage, and support students by providing a safe, secure and loving environment to educate them socially, emotionally, and cognitively so they can continue to build a foundation for life-long learning. I have five years of experience working with elementary age students, both as a classroom teacher and as a 1 on 1 tutor. My strengths are in math, writing, and study skills. 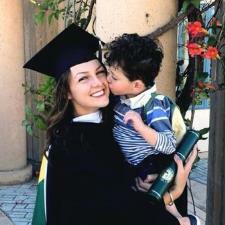 I have my masters degree in Teaching, and my bachelors degree in Psychology from Point Loma Nazarene University. I also tutored high school and college age students in psychology courses, both for writing papers and prepping for tests. I have tutored writing for students from ages 6 to 20. I help by teaching specific writing strategies, correcting grammar and spelling, giving writing practice, as well as editing papers. I have four years experience working in special education. I also have my education specialist credential in mild to moderate special education. My specialty is working with students who have Autism or ADHD! Special education is truly my passion, and I am excited to make a positive contribution to your education. I hope to hear from you soon! Rate details: Please give at least 12 hrs notice before you cancel. If a student cancels less than 24 hrs before, I will charge 50% of the fee. If a student is more than 20 mins late, I will charge the full fee. I have a good amount of experience helping others draft and edit essays and papers for a variety of subjects. I have worked with countless students at the elementary level, all the way up to masters level. I've worked with quite a few students on term papers, and even editing theses for Masters programs. I have had 3 years of training and classes on the common core style of learning. I then moved on to teach common core practices to elementary students in my own classroom for an additional 3 years. I have also worked with students (and parents! Common core is hard!) in tutoring 1-on-1 using common core practices for approximately 2 years. As for education and experience, I have a Bachelors degree in Psychology, a Masters degree in Teaching, a multiple subject credential, and a mild to moderate special education credential. I have 5 years of experience working in education. I have taught math for the last 6 years from grades K-8. I have also helped many high school students prepare for the SAT or ACT math portions of the test. More recently, I have taught 5th through 8th grade math classes. However, I also have 3 years of experience teaching younger grades math as well. As a tutor and as a credentialed teacher, I have been teaching students of all ages writing for more than 5 years. I have many taught reading and writing classes at the elementary level, and have also helped many high school and college students construct essays. I have worked as a tutor for numerous college level bible courses. I tutored other college students in both Old Testament and New Testament studies. Primarily, I have helped other students editing papers in religious studies. I have 15 years of experience playing the piano, as well as 4 years of experience teaching piano. I have taught numerous elementary students (ages 4 -14) piano skills. I completed my Bachelor's degree in Psychology in 2015. I have spent time tutoring high school and college age students in their psychology courses. I was a tutor in the Psychology department for 2 years. I worked with students by helping them study for tests, writing term papers, or editing/proof-reading their papers. I have my special education credential in mild-moderate special education. I have 6 years of experience working with kids with special needs of all ages. I have worked primarily with kids who have autism and ADHD, although I do have experience with many other types of special needs as well. I have 5 years of experience helping prepare students for their end of the year STAAR testing. I have also spent 3 years administering STAAR tests, so I am very familiar with how the test works. I have helped over a dozen students of various ages and ability levels study for the STAAR test, and all of them have done very well! Malory is a wonderful tutor. Both my sons are being tutored by Malory. One for help writing essays for middle school English and one for high school AP Psychology. She gets my boys focused and on task while keeping it fun and easy. They really like her style and look forward to working with her. She’s been an excellent fit for us. Kind and compassionate! Malory is very knowledgeable of the materials. Malory made my my 4th grade son feel very comfortable & confident! We are booking future lessons! Book with Malory you will not be disappointed!